"AINHOA" TRIUNFA CON DOBLETE EN LOS "TOP INDIE FILM AWARDS" GANANDO EL "PREMIO AL MEJOR CORTO" Y EL "PREMIO AL MEJOR DIRECTOR"! -! "AINHOA" recibe los premios al "MEJOR CORTOMETRAJE" y "MEJOR DIRECTOR (Ivan Sainz-Pardo)" en el "Top Indie Film Awards" !Muchas felicidades a todos! 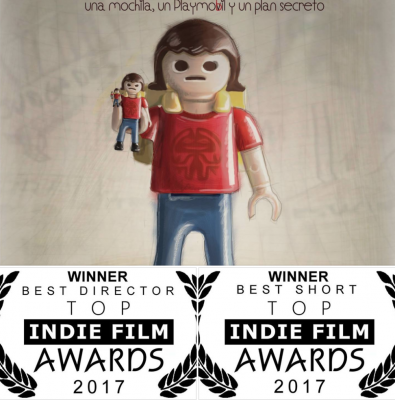 -WINNER "AINHOA - Short Film" by Ivan Sainz-Pardo has won the "BEST SHORT AWARD" and "BEST DIRECTOR" at "Top Indie Film Awards"!